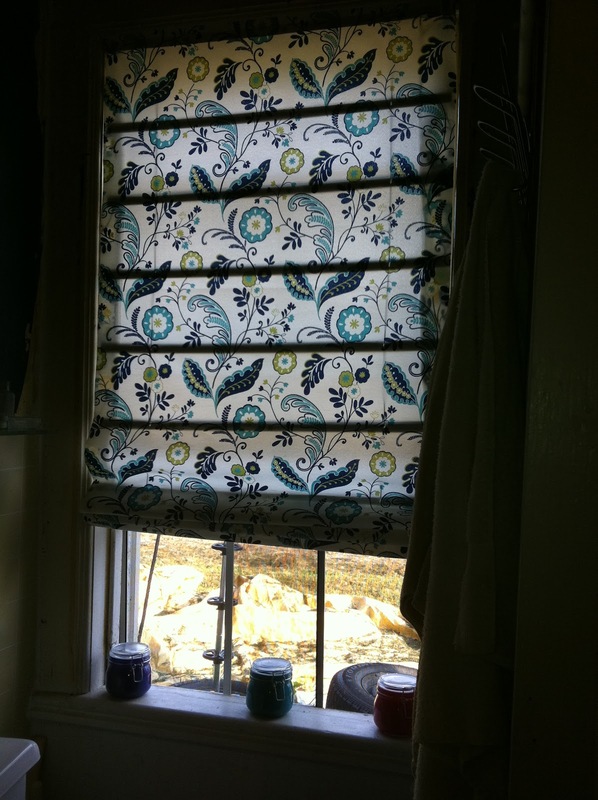 Last night, for my "Do One Thing a Day", I made no sew roman shades for my bathroom. I found a great tutorial a few weeks ago when I was browsing Pinterest. Of course, in true "let's just wing it" fashion, I did make some mistakes by not following the directions. After reading the tutorial a few times I declared, "I got this!" and proceeded to get to work. I don't own either of those things, and didn't feel like buying them. I also made the hem in the wrong order. 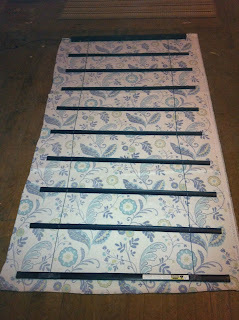 According to the tutorial, you should make your hems on the side nice and even before attaching your blinds. I did it after, and the back looks messy. 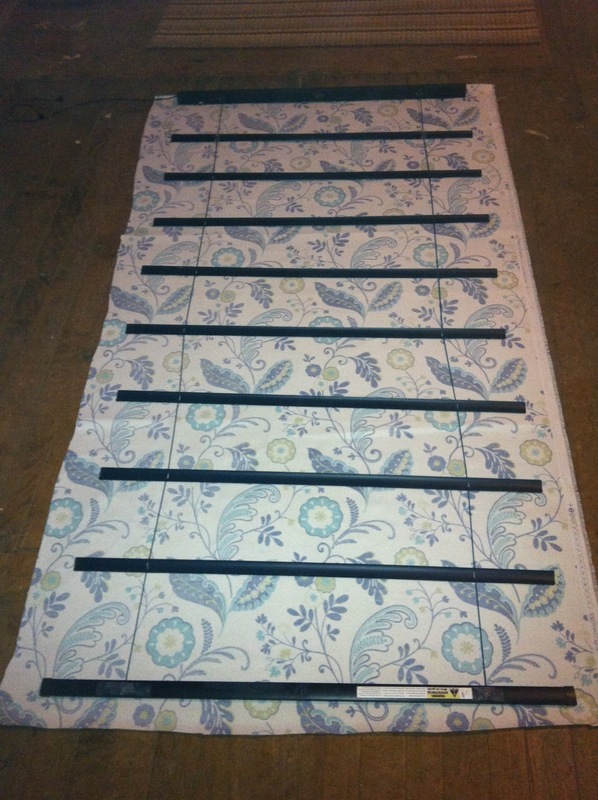 I will eventually add some fabric to the back to hide the mess and make the whole thing look more finished. I picked up 2 meters of on-sale fabric at Fabricland ($5/meter!). 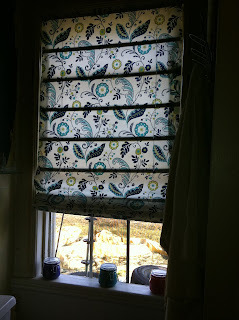 Again, this happened to be outdoor fabric which worked fine for this application. I won't go into any details on how I did this, because the author at 365 Days to Simplicity deserves the credit for making a great tutorial. I plan on eventually making these for my living room and kitchen as well.